It’s so simple and so healthy. 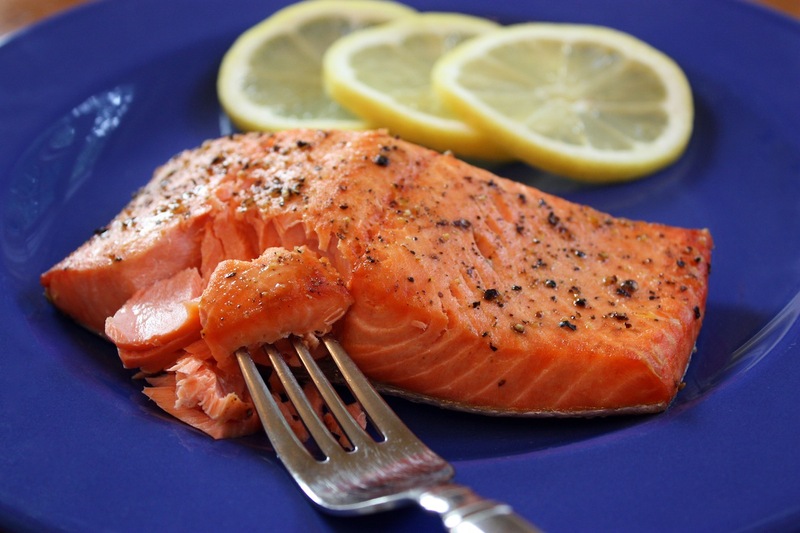 Simple because my easy broiled salmon only takes 15 minutes to make – all you need is a lemon and some olive oil. And healthy because salmon is good for your heart…. and your eyes, and your brain, and your joints, and etc., etc.. Salmon is always on the list of foods with the most health benefits and it’s easier to cook than you think. Wild caught salmon is the best choice and of course getting it fresh is important when it comes to fish. It’s always good to know what day they deliver fish at the market and that’s the day to go get it. There are lots of ways to cook salmon (most of them too fancy for me) so I keep it simple – just lemon, oil, salt and pepper. Of course you can add other spices if you like but this simple recipe is really good. Every oven is different and every broiler is too so your fish may take less time to cook, or more depending on a few things. 1) How strong is your broiler? 2) What is the distance between your oven rack and the broiler? 3) How thick is your salmon? 4) How do you like it cooked? In my kitchen, the broiler has two setting, high and medium. I cook it on the high setting. I place the rack one below the top, which puts my oven rack around 5 1/2 to 6 inches below the heat. The salmon I find at my store is usually about an inch thick but depending on the thickness of the fish, you would cook it about 10 minutes per inch. I prefer my fish cooked all the way through but if you want it less done inside, cook it for a little less time. 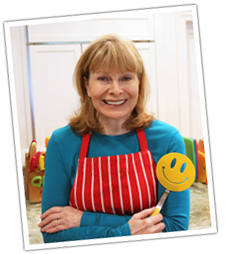 5 Comments on "Quick & Easy Salmon"
Hello Jenny Can Cook! I’m really putting your recipe for; those delicious baby back ribs. I brought smoker and would like to smoke some salmon. I’m wondering do you have a recipe for smoking salmon? Thank you Jenny Can Cook! My headscarves are often just pieces of fabric I find at Joann Fabrics or covered headbands I find at the beauty supplies. As for aprons – I find them everywhere from World Market, Pier One, Macy’s, Sur La Table, and sometimes Anthropologie.